At Maui SUP Yoga, the ocean is our studio — the natural place to connect with nature, mind, body, and spirit. SUP Yoga is the perfect way to channel the healing energy of Maui and become in tune with your own healing abilities. 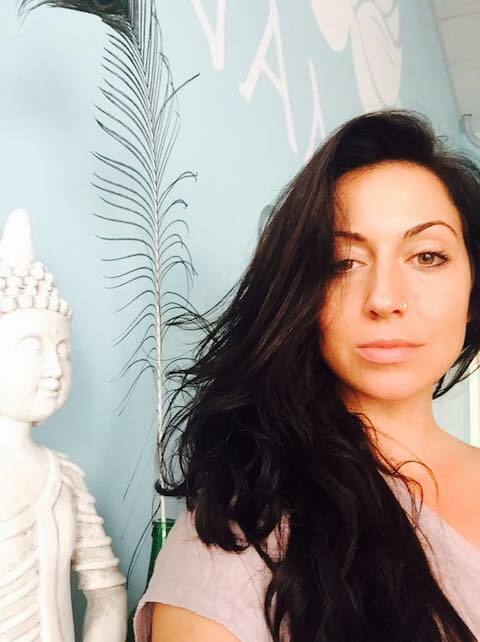 As a yogini, reiki practitioner, teacher of yoga and a student of life, Nichole has a deep passion for traveling and connecting with people from all around the world, learning about their culture, their story and what liberates them. Through her own personal experience with depression and anxiety, she has surrendered and released from the idea of what she once thought she was, embracing the truth of her very being: divine light, pure love and free-flowing energy. To awaken to this reality, she dedicated herself to the daily practice of yoga, a tradition that allowed her to break down the walls of fear and continue her path of limitless opportunities. During her awakening, she decided to travel to Rishikesh India where she lived for three months and completed her 500 Hour Hatha YTTC. After emerging from the shadows of ego, it is in Nichole’s heart to offer guidance to those who have lost their way, by shining light on their potential to live a fulfilling, abundant and happy life full of love. By uniting with those who continue to learn and grow, Nichole trusts that together people can raise awareness and make a difference in creating a better world. Nichole’s mission is to continue to connect with people of all walks of life and through various styles of yoga and meditation to share the gift of truth so all can dance freely in the liberation it brings. I’m originally from the central gulf coast of Florida, spending most of my childhood in, on, or near the ocean. I moved to West Maui in 2010 to pursue my interests and passions in the ocean, which is where I was first introduced to paddling. Since 2013, I have been competing professionally in Standup Paddle-Board (SUP) races and SUP surf competitions all around the world. Paddling has given me so many incredible opportunities to travel and connect with others through a shared passion for paddling and being on the water. While I focus most of my time and energy towards training and competing at the top level, I thoroughly enjoy sharing my passion and knowledge for paddling with others. It is equally rewarding for me to see the “stoke” in others when they first stand-up on a SUP as it is for me to be the first to cross the finish line. Adam was born and raised in Florida, and has always been an avid athlete. From soccer, to snowboarding, to lifting free weights and surfing, he has a passion for pushing his body to its edge. Drawn into yoga by a desire to continue this athleticism after sustaining many snowboarding injuries, he found a practice to take with him as he traveled the world working for Oakley, which provided a low impact, full body workout, as well a way to focus his mind and calm his anxiety. In 2014 he completed his 200hr Yoga teacher training as well as an extensions program in the Baron Baptiste style of Power Vinyasa Flow at a Seattle, WA based Core Power Yoga Studio. 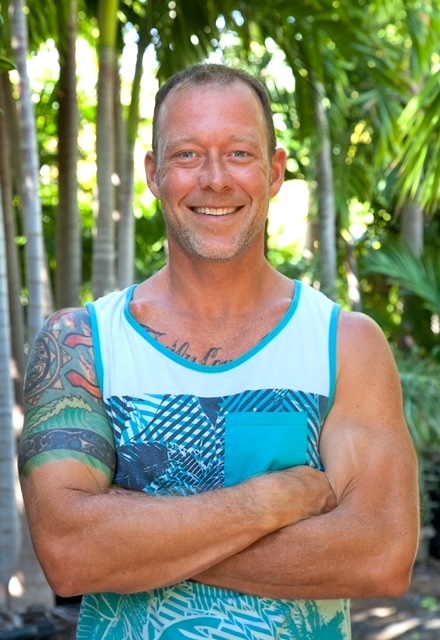 Adam believes that the practice of yoga should be accessible to everyone, his goal in teaching is to give back to others what the practice of yoga has brought him – a full body workout, and a mind, body, and soul connection which informs and supports a holistic way of being in all other aspects of life. His teaching style meets people where they are, and inspires them to be the best they can be. In addition to yoga, Adam has a deep passion for environmental awareness and community building. 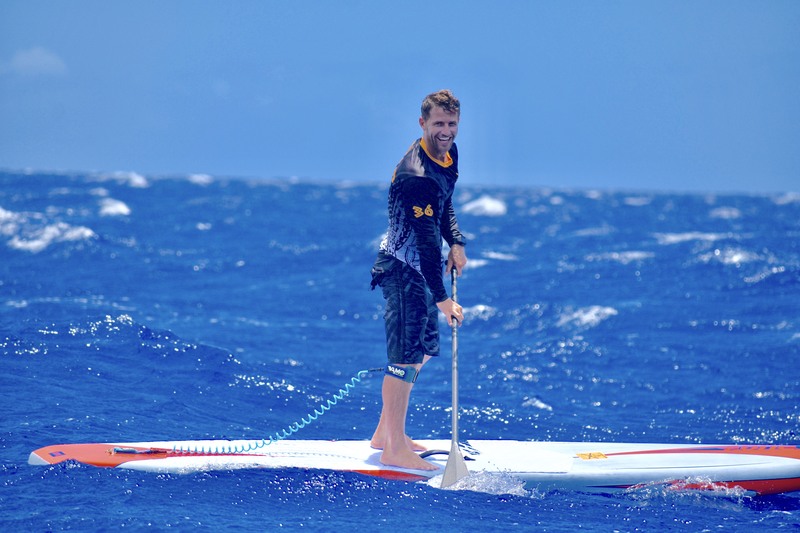 Adam currently resides on the island of Maui, where you can find him out in the surf most days. My name is Victoria Chadsey and I would consider myself a hospitality, activity and fitness guru. I have lived my life constantly searching for aquatic adventures and thrive on my daily yoga practice. I earned a degree from Florida Gulf Coast University where I studied Resort and Hospitality management; in addition I have achieved several fitness certifications along with my RYT200 Yoga certification, SUP Yoga, Aerial yoga certification, L1 Paddle instructor certification,Group X and personal training certification. I have been teaching fitness classes for over 7 years with a strong emphasis on teaching yoga the past 4 years. I recently moved out to Maui to live with the love of my life where we thrive on paddle boarding, surfing, diving our canoe club and living an aquatic life and embracing all that nature has to offer! I strive to spread love, light, and smiles to everyone I surround myself with and look forward to every yoga class I teach. Larkin began practicing yoga when she was in high school. Inspired by her mother’s practice and looking for something to balance her avid soccer playing, she found what she was looking for in Kripalu Yoga as well as Power Vinyasa Flow. As many do, she began to practice for the physical benefit, plus the camaraderie of family and friends. Although yoga was often physically challenging, Larkin always felt better after a class without really knowing why. This experiential evidence was enough for her to return again and again. Yoga continued to weave through Larkin’s life until a relationship breakup in 2009 prompted a life-changing swadhyaya (self-study) course, introducing the tools of life coaching to Larkin for the first time. A passion for these tools inspired a commitment to a regular practice of yoga, journaling, meditation and self-coaching. In 2011, she felt it was time to more formerly share her passion and practice with others, and completed the 200hr yoga teacher training at Kripalu Center for Yoga and Health. 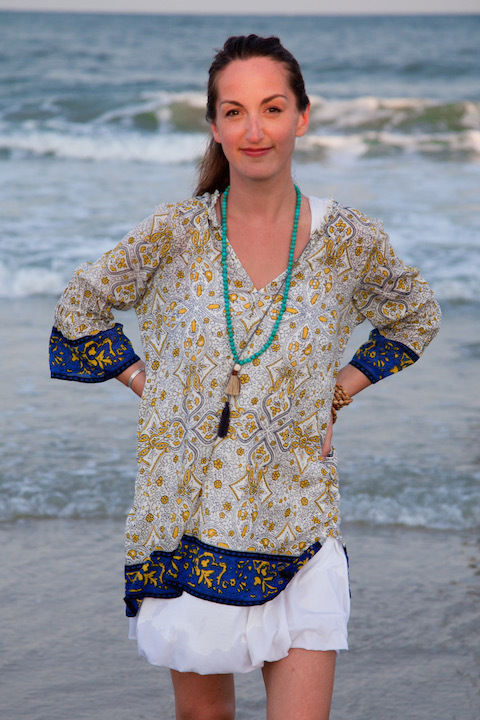 Now Larkin is a Certified MBI Life Coach, a 500hr Registered Yoga Teacher through Yoga Alliance, a Certified Yoga Nidra Meditation Instructor and a Certified YoKid kids yoga instructor. 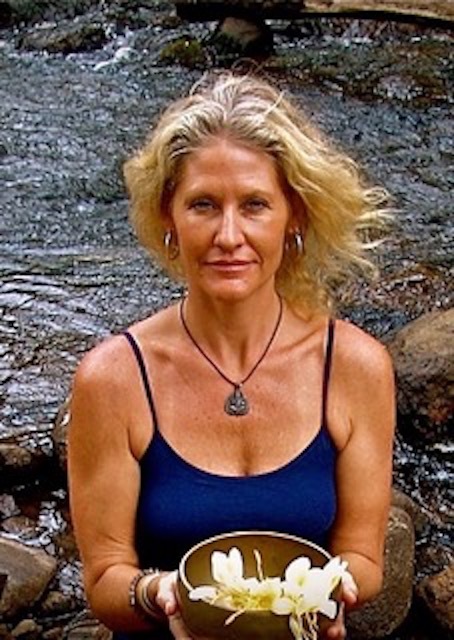 She has taught in a variety of environments since 2011, including studios, schools, retirement communities, corporate offices, retreat centers, and privately in homes, jungles, on beaches and cliff sides. She currently resides on the island of Maui with her fiance and their two adorable fur babies. Larkin’s teaching style is informed by Kripalu’s philosophy of compassionate self-inquiry. Her classes are an accessible experience of mind, body and breath convergence. I was born in San Francisco California and raised in wine country. 2004 I moved to Lake Tahoe to lead a ski bum life. Little did I know it would be where I started my life long relationship with yoga. During the cold winters I found Bikram yoga. And have been practicing on and off for the last 15 years. In 2007 I took a job as a flight attendant based out on New York’s JFK. And after commuting/living a hectic lifestyle for over the last 10 years it was time to find balance. I spent a month in Mal Pias, Costa Rica doing a 250 hour hot yoga teacher training. Certified by Evolation Yoga. I’ve participated in a 3 day inversion workshop from beach yoga girl. Member of Yoga Alliance. And have completed The Maui SUP yoga family training. Which out of all of my trainings my SUP training me the most happy and renewed my love for yoga and life. I am currently living aloha on Maui, and don’t plan on ever leaving. My hobbies include wake boarding, snowboarding and I never leave home without a passport. You’ll either find my on a sup yoga board, or free diving and spear fishing catching my own dinner. I love local coffee and supporting local businesses, riding my bike, and spending time with my German shepherd, 3 cats, friends and family. Living my best life. I have over thirty years of teaching experience in sharing what have learned..and what I am always learning!! My journey with sound healing began in music therapy classes in the 1980’s as I earned my B.M. and M.M. in music and that has led to integrating using the alchemy crystal singing bowls to offer healing sound meditations. As a licensed and certified Nia Brown Belt instructor, I am very grateful to share the joy of this practice in Maui at Island Spirit Yoga studio! I have my White Belt, Green Belt, Blue Belt and Brown Belt in the Nia Technique. All of my work focuses on optimal wellness..body, mind and spirit..to guide others to make choices that lead them to their most vibrant self. I have my First and Second Degree Reiki certifications and incorporate this in all my work. I bring an intuitive and compassionate heart to all my sessions, holding space for authenticity, truth, inner wisdom, playfulness, peace, and healing. My formal in-depth self-inquiry began when I moved to Maui over twenty years ago. Here, I simultaneously studied physical and energetic modalities for self healing and development. My studies as a yoga and somatic movement teacher have been with leading pioneers Ateeka ~ YogaSOMATICS, Angela Farmer & Victor VonKooten. I am a certified YogaSOMATICS, Restorative , and Vinyasa Flow teacher. I continued my somatic movement education mentoring with Continuum Movement founder Emilie Conrad. To round out my education of self inquiry I began my mentorship with Cynthia Mellon ~ Healing Arts. With Cynthia and Resonance Repatterning, I experienced the subtle energy fields and the holographic universe as a part of who I am. I became a Reiki Master/Teacher and refined my skills of Shamanic Journeying with Sue Ribao ~Vision Healings. Sound vibrational healing was a natural part of my process. I discovered the healing vibrations of Tibetan Singing Bowls, Continuum Movement sounds and gained deeper understanding of how sound is used for healing and evolution through Tom Kenyon. My teachings and sacred work is a tapestry all of my experiencing of self-inquiry through the various modalities of yoga, somatic movement, subtle energy healing, sound vibration, shamanic journeying, meditation, pranayama, Young Living essential oils and Pohala Esoteric Hawaiian Botanical Medicine. My offerings of self-healing and development are in the spirit of adventure, exploration, discovery and the principles of Aloha. Site Content © 2019 Maui Sup Yoga. All Rights Reserved. Website by WFH.